Features step-by step mindfulness and acceptance exercises for effective relief from emotional pain. 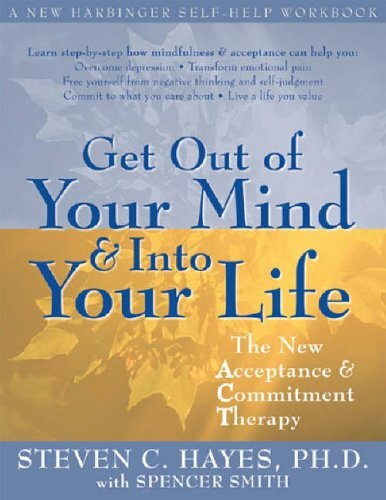 This book develops acceptance and commitment therapy (ACT), a revolutionary direction in psychotherapy, into step-by-step exercises that readers can use to get relief from emotional pain. This book offers a five-step plan for coping with painful emotions such as anxiety and depression. It teaches you how to learn life-enhancing behavior strategies that work to further the goals you value most. You'll learn to engage with and overcome painful thoughts and feelings with step-by-step acceptance and mindfulness-based techniques. You'll find out how to let go of control, and develop compassion and flexibility. The realization that painful feelings cannot be controlled will open you to the possibility of fully emotional living. Once present, engaged, and aware, you can begin to build new lives for yourself filled with significance and meaning. This book is not about overcoming pain or fighting emotions; it's about embracing life and feeling everything it has to offer. In this way, it offers a way out of suffering by choosing to life a life based on what matters most.